Angelwax Enigma Shampoo has been manufactured using the latest ceramic technology. When used regularly, the ceramic molecules within ENIGMA SHAMPOO will bond to the vehicle and a protective coating is formed over its surface. Angelwax ENIGMA SHAMPOO forms part of the unique ENIGMA range of ceramic detailing products which will rejuvenate surfaces protected with ENIGMA CERAMIC DETAILING WAXand other ceramic coatings. TOP TIP: After thoroughly cleaning the vehicle with ENIGMA SHAMPOO treat with a layer of ENIGMA QED CERAMIC DETAILING SPRAY or apply a coat of Angelwax ENIGMA CERAMIC DETAILING WAX for the ultimate protection. This Angelwax Enigma Shampoo is a wonderful wash for that special occasion, or just coating maintenance. It really does add a noticeable boost in gloss, more than any other similar Si02 / ceramic / coating infused car wash product on the market. 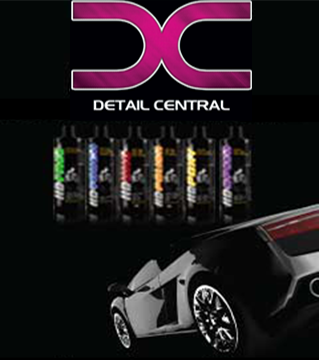 Angelwax products are the top of the class, and this product is no different. You don’t need to use much at all in your wash bucket, and is nice and lush to use. Highly recommended!